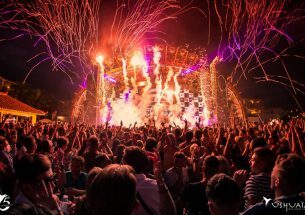 This hotel is creating quite the stir on the White Isle, with residents and tourists alike rubbing their hands together in glee at the prospect of the sophisticated but fun-loving five-star luxury resort landing on the shores of Ibiza. 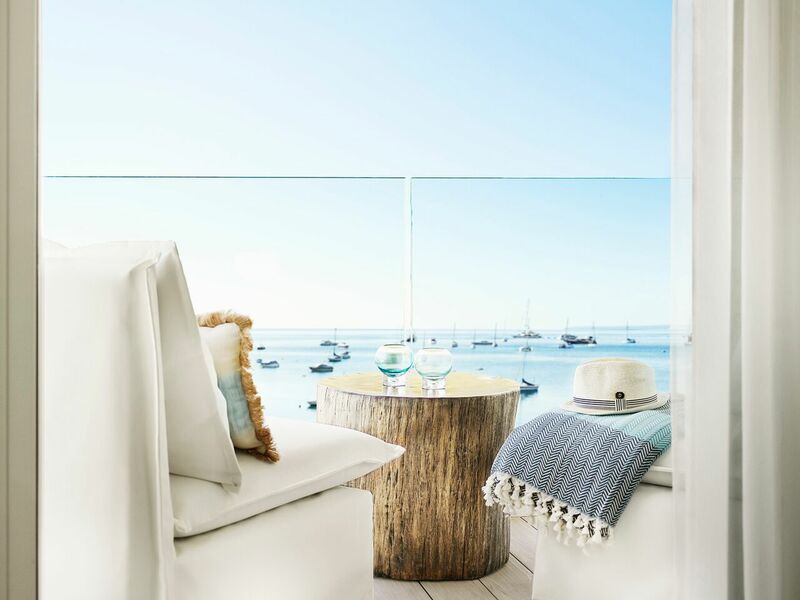 A member of the globally recognised Small Luxury Hotels of the World, Ibiza Bay will open at the end of June 2017, in what will be one of the most hotly-anticipated openings of the year in the whole of Europe. 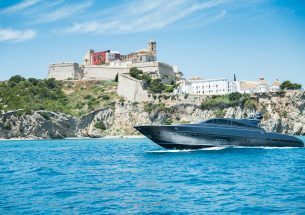 Located in Talamanca Bay, Ibiza Bay is a bona fide adult’s playground, promising two seafront facing pools, a range of restaurants, an indulgent Six Senses Spa and a carefully curated set of facilities that guarantee to deliver a next level trip of a lifetime. 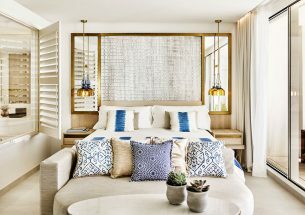 Naturally, a firm emphasis has been placed on attention to detail, making the hotel unlike any other experience on the island, or in fact, the world. 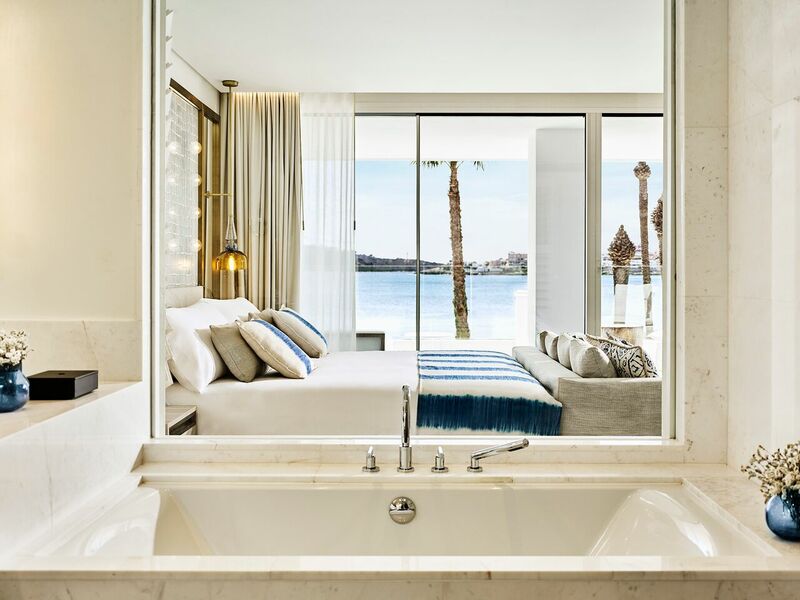 At Ibiza Bay you’re just a stone’s throw away from the crystal clear waters of bustling Talamanca Bay, and a 15-minute walk from the historic Ibiza Town. But that’s only relevant if you can tear yourself away from what’s available at the hotel itself. 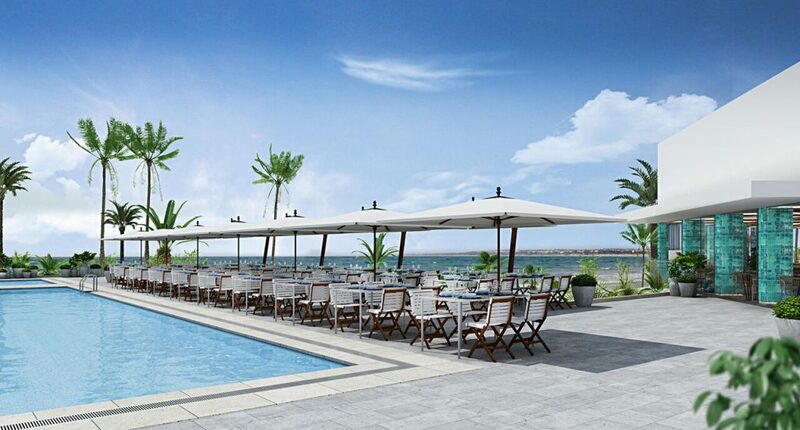 There are four restaurants at Ibiza Bay, so long, lazy lunches are always on the menu and breakfast is served at any time. Culinary speaking, the pièce de resistance will of course be the world-famous Japanese cuisine of Nobu, but there’ll also be Chambao, a concept in collaboration with El Chiringuito, Mexican food from the Peyote Group and a health-conscious hangout called Celicioso, serving superfood salads and juices. 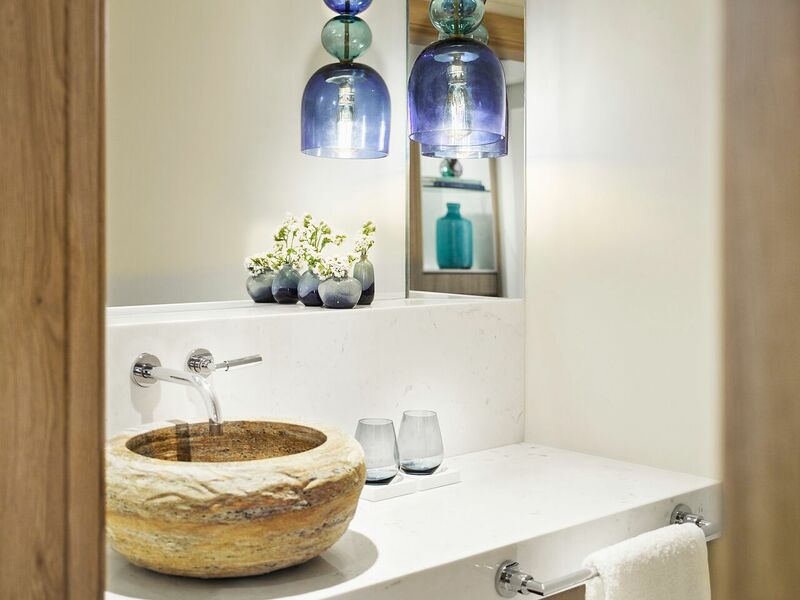 After plenty of indulgent eating you can relax in one of the hotel’s 152 beautifully decorated rooms. 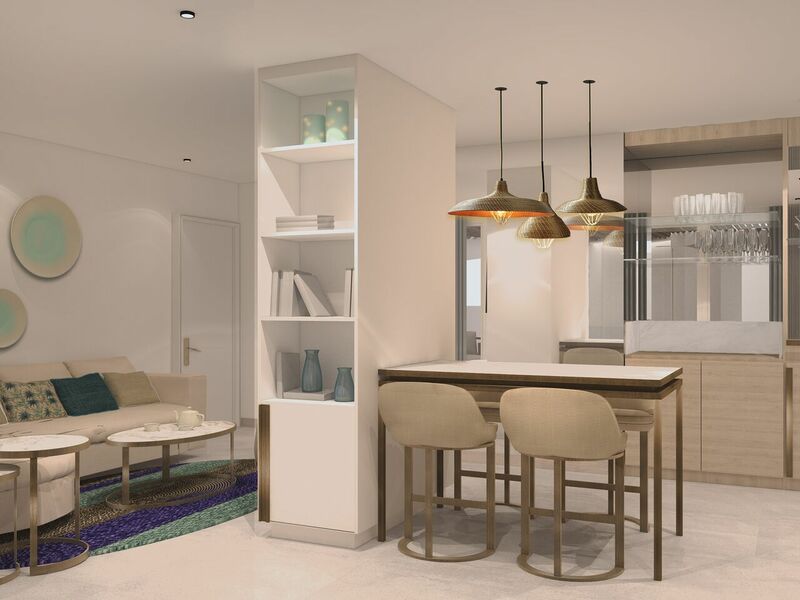 Each has been designed with guests’ comfort in mind and boasts a natural colour palette and flecks of white, gold, aqua and blue, complemented by floor to ceiling windows that allow you to admire the stunning views out over the Med. 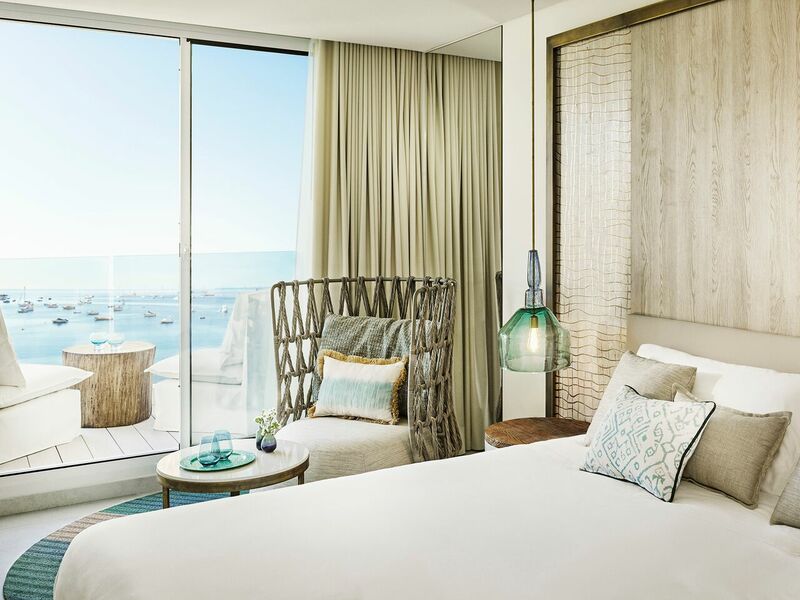 The stylish blend of locally-sourced Ibizan artwork and sleek modern conveniences in our Deluxe Sea View Rooms provide a comfortable residential feel. Stone coloured floors continue to the spacious furnished terrace, which offer clear views of the Mediterranean Sea and Talamanca Bay. 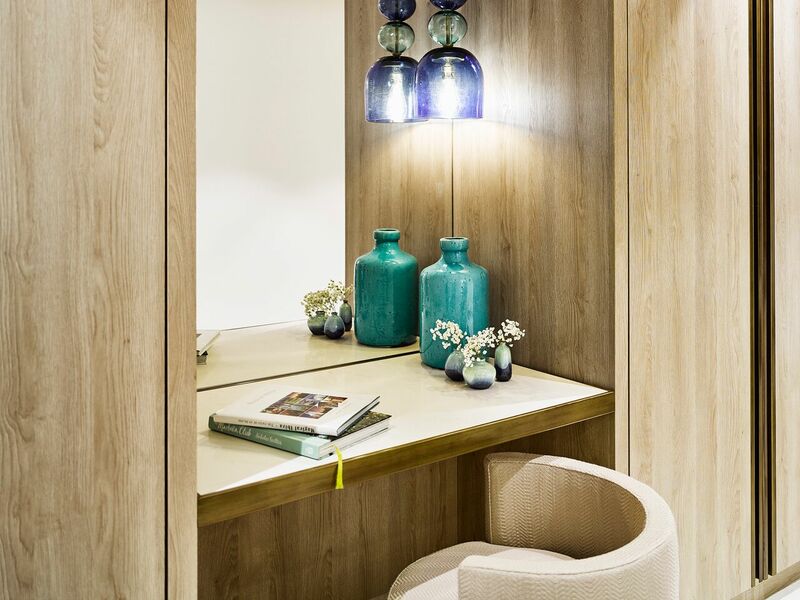 Inside, revel in the comfy lounge area and airy dressing room. 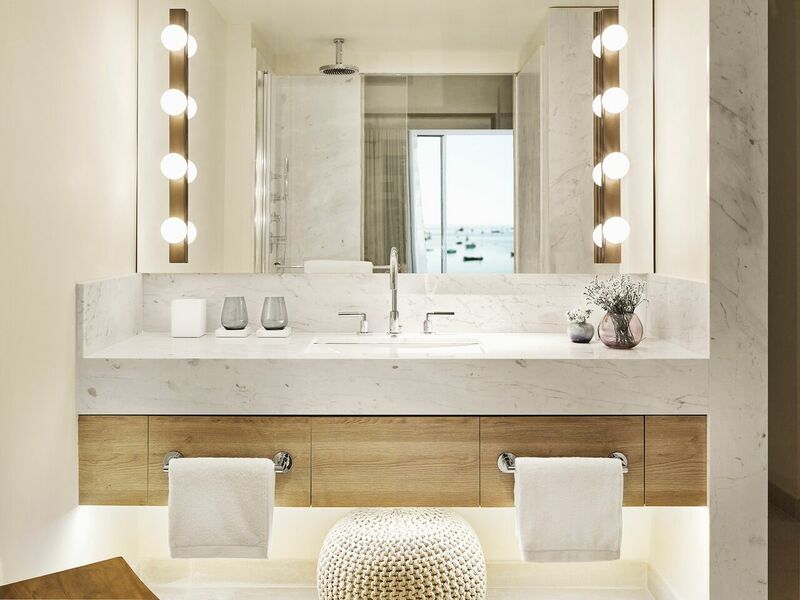 The Persian marble bathroom offers a rain-fall shower and separate vanity. Some rooms interconnect. 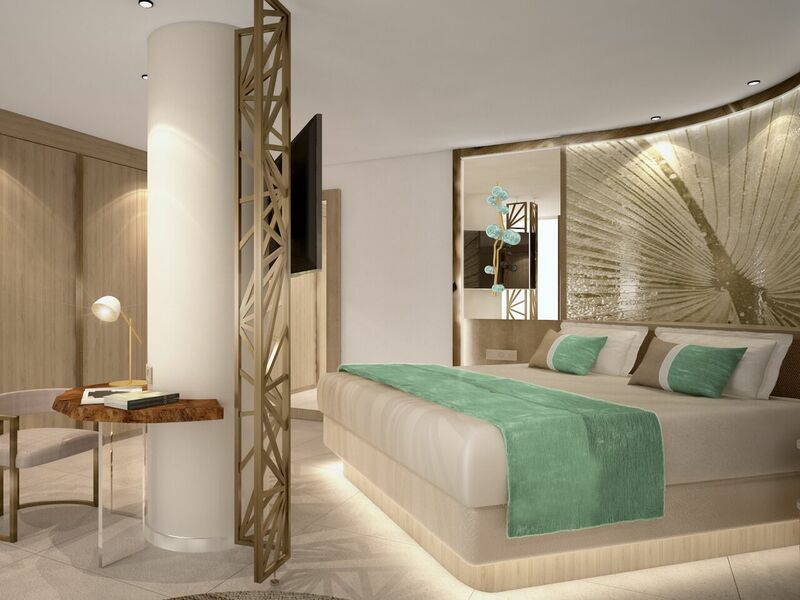 Experience the brilliant service and glamour of our Deluxe Suite Sea View room. 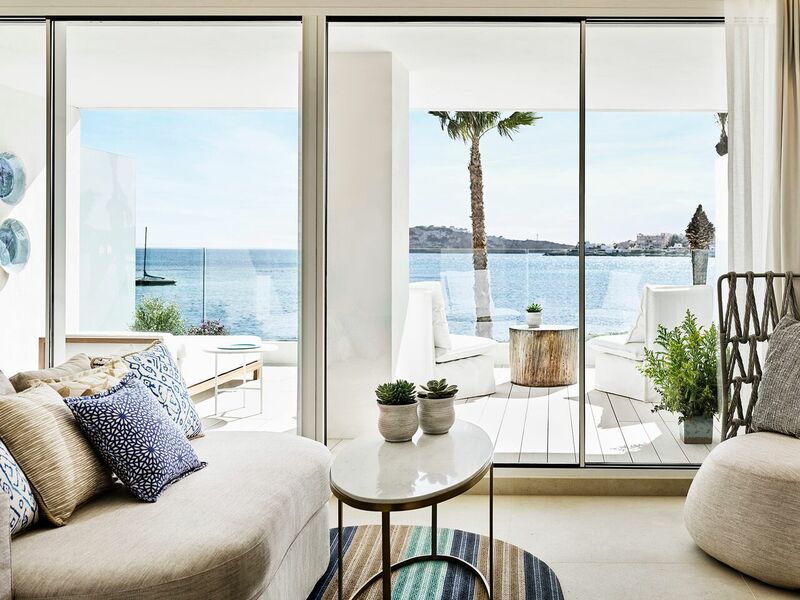 The expansive room features a terrace with views over Talamanca Bay. 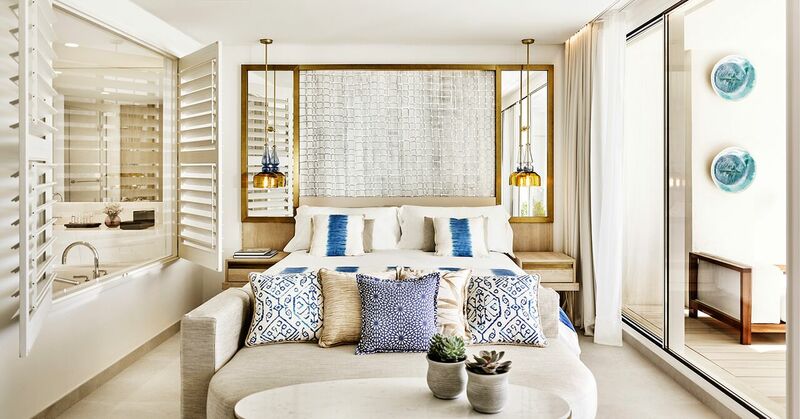 You’ll enjoy custom designed furniture and thoughtful details like hand-blown pendant lights and local artwork, which reflect the chic island vibe. 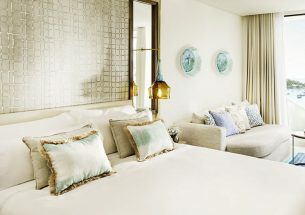 The separate living room offers stunning light with floor-to-ceiling windows, and the Persian marble bathroom boasts a deep soaking bathtub and a separate rain shower. Some rooms interconnect. 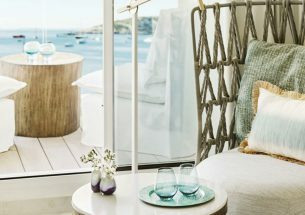 he Royal Suite perfectly embodies the Ibiza Bay experience; a blend of relaxed chic, understated quality and complete indulgence. 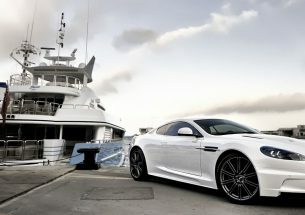 Located on the top floor, the Royal Suite boasts stunning views of Talamanca Bay and Ibiza Town.